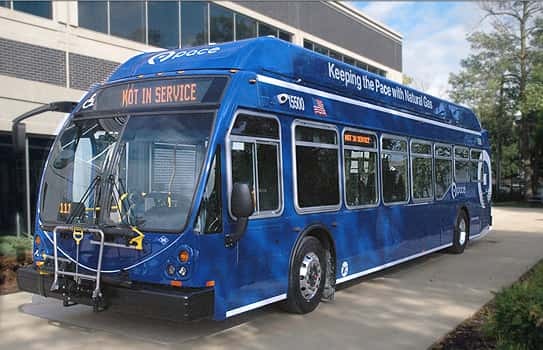 Transit agencies are one of the most active adopters of natural gas vehicles, due to the favorable economics and unparalleled environmental benefits of natural gas. According to NGV America, there are 11,000 natural gas buses on US roads, and about 35% of new transit buses on order are CNG. Since transit buses routinely operate in more densely populated areas, transporting hundreds of thousands of citizens across the nation on a daily basis, they are very focused on safety. Although CNG is an inherently safe fuel, it is stored onboard buses at very high pressures, so it requires special safety measures and handling procedures. There are four essential best practices that every transit provider operating natural gas-powered vehicles should implement to help ensure public safety. 1. Adopt and use industry-recommended inspection intervals in official policy. CNG fuel system inspections are safety driven procedures, which must be conducted frequently enough to detect potential safety issues. While inspection of all CNG cylinders is required by Federal Motor Vehicle Safety Standard (FMVSS) 304 every three years or 36,000 miles whichever comes first, NGV industry best practices were amended in 2008o include inspection of the entire high-pressure portion of the fuel system. In addition, in 2018 NGVAmerica’s CNG Fuel System Inspection Working Group published a guidance document regarding CNG fuel system inspections. According to this document, in order to identify any unsafe conditions before they become a serious problem, there are four different inspection intervals that NGV fleets, including transit agencies and other bus transportation companies, should adopt as official policy. The pre-in-service inspection is a detailed visual inspection of all the high-pressure fuel system components, which is conducted prior to putting any new vehicle into service. This inspection has multiple roles. It can be used as a reference point for future inspections. It helps to determine if a bus meets all required vehicle specifications. Finally, it helps to discover any damage or disrepair to the CNG fuel system that may have occurred during the installation process. Pre-in-service inspections must be conducted by trained and qualified CNG fuel system inspectors. To assure their competency, it is recommended that these inspectors also be certified. Driver Pre-and Post-Trip Inspections, required by the Federal Motor Vehicle Carrier Safety Administration, should be conducted daily by bus drivers and should involve an inspection of any easily accessible and visible CNG fuel system components. This includes looking for any signs of wear, damage or fuel leakage. The General Visual Inspection is a basic inspection of all visible elements of the CNG fuel system, which should be performed regularly by trained technicians as part of vehicle’s routine maintenance schedule. During this inspection, technicians must look for any signs of obvious or gross external damage to or leakage from fuel system components, such as the receptacle, dust cover and O-ring, PRD vent lines and caps, pressure gauges, quarter turn valve, and cylinders or shields if they are visible. Evidence of any dents, damage to shields or a leak automatically triggers a detailed visual inspection. The Detailed Visual Inspection is the most thorough inspection, which covers the entire high-pressure fuel system, including cylinders, and must be conducted by a trained, qualified, and preferably certified CNG fuel system inspector. As discussed earlier, this inspection should be performed before placing the vehicle in service, but also every three years or 36,000 miles, whichever comes first, and after any accident or fire. 2. Implement Standard Operating Procedures (SOPs) for all possible scenarios that may occur during driving, maintenance and repair of CNG buses. To prevent hazardous conditions, and to know how to respond quickly to emergency situations, transits should create procedures for all possible occurrences and develop plans on how to deal with each one. Under what conditions are passengers evacuated from the bus in case of an accident? How should the driver be trained to assist First Responders if necessary? What are the conditions that require towing vs. driving the bus back? In case of an accident, when and where would the required Detailed Visual Inspection take place? A procedure to follow in the event the methane detection system inside the maintenance facility system is activated. 3. Require an appropriate level of CNG training for each employee. Comprehensive safety training is one of the most frequently overlooked elements by many CNG fleets, including transits. Fleets often opt only for specific product familiarization training provided by the manufacturer. While familiarization with the product, including control functions and safety devices, is needed for technicians who will operate them, a comprehensive safety training is essential to ensure technicians have the skills and knowledge necessary to perform their jobs safely and accurately. Every employee who works on or around CNG buses should have a level of training that corresponds to their job responsibilities. Drivers need to be familiar with the properties of natural gas and know how to use the safety features of the vehicle. They also need to know how to detect signs of safety hazards, such as damage, leakage, or wear on the visible elements of the fuel system, as well as what safety protocols to follow in case of an emergency or fire. When needed, they should also be able to provide basic guidance to first responder personnel, who may not be familiar with CNG or CNG-powered vehicles. Every technician working on or around CNG vehicles needs at least Level 1 safety training, which will teach them the unique properties of the fuel, as well as the principles of working around compressed gas. They should become familiar with all of the CNG fuel system components, their functions, and all related safety practices. In addition to technicians, maintenance management and any employees doing work on or around CNG vehicles should receive Level 1safety training. More advanced technicians are usually assigned the task of conducting the required CNG fuel system inspections. CNG fuel system inspectors must not only have the Level 1 training, but they must be familiar with fuel system installation code requirements and standards, and be trained to identify and assess damaged components, including various damage levels to CNG cylinders. Level 3 training prepares technicians who will be performing diagnostics and repair to either the CNG fuel system or the engine. In addition to the Level 1 training, these technicians need training that teaches them about the unique components of heavy-duty natural gas fuel systems and engines, how to distinguish between a fuel problem, a fuel system problem and an engine problem, and how to diagnose problems that do not set codes in the controls. Appropriate safety training should be provided to all staff, including periodic training for newly added employees or for those whose job duties have changed, as well as refresher training for existing employees. Refresher training should be provided annually to ensure key principles and practices are reinforced for technicians’ daily activities and so they remain current on any code, standards, or technology updates. 4. Require certification for all CNG fuel system inspectors. Understand the function of each CNG fuel system component and their inspection requirements, and to identify damage or disrepair. Correctly distinguish between the four types of CNG cylinders, assess their damage types and levels and determine whether this damage is repairable or if the cylinder must be condemned. Identify the manufacturing, installation and inspection standards for CNG fuel systems, which may vary from model year to model year, depending on the codes in force at the time. Correctly apply CNG installation and inspection standards to perform CNG fuel system inspections. Determine the final disposition of CNG cylinders after a CNG fuel system inspection. Properly defuel and dispose of condemned CNG cylinders. 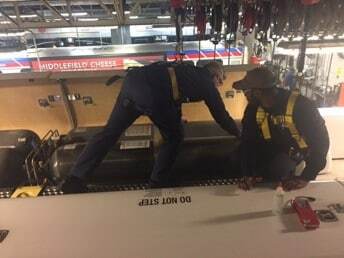 To prevent incidents and demonstrate that the transit agency has done everything reasonable to protect its employees, their customers and the general public, certification is highly recommended. In summary, working on or around NGVs requires special awareness of safety procedures that are unique to these vehicles. It is imperative that transits — one of the largest adopters of CNG who routinely operate in densely populated urban and suburban residential areas — be proactive in mitigating risk by implementing safety practices and procedures that protect their employees, passengers, and the general public. By implementing all four best practices described in this article, safety-leaders in regional transit systems can be sure that the gold standard for safety in their CNG fleet is achieved.